Eight students were awarded the 2018 Graeme Clark and Anders Tjellström scholarships. Last week, Cochlear Limted announced the winners of the 2018 Anders Tjellström and Graeme Clark scholarships. Congratulations to the winners! The scholarships, named after two pioneers of the hearing implant industry, recognize Cochlear™ Nucleus® Implant and Baha® System recipients in the United States and Canada who uphold the Cochlear ideals of leadership and humanity, and demonstrate high academic achievement. The Anders Tjellström Scholarship is named after Anders Tjellström, the research physician in the department of otolaryngology at the Sahlgrenska University Hospital in Sweden who collaborated with Per-Ingvar Brånemark, a pioneer in his field, to treat the first patient with a Baha device. The Graeme Clark Scholarship is named after Professor Graeme Clark, the inventor and pioneer of the multichannel cochlear implant. Read more about the scholarships and apply here. Read more about the 2018 winners here. The latest non-implantable bone conduction innovation from Cochlear is here! The Baha SoundArc is a new hearing solution for people who live with conductive hearing loss, mixed hearing loss or single-sided sensorineural deafness (SSD). It is the world’s first non-surgical, behind-the-head bone conduction hearing device, specially designed for children who are not ready for a bone conduction implant and adults who want to trial bone conduction in everyday situations. Picture: Baha SoundArc. Available in sizes S, M, L, and XL. The color tips are not available until CE marked. “All previous non-surgical devices have used the head or ears to aid in retention. With the Baha SoundArc we needed to find a way to deliver excellent sound quality, power performance and fit all different head shapes and sizes – without compromising on comfort”, says Mats Dotevall, Director of Design & Development at Cochlear Bone Anchored Solutions AB (CBAS). With the introduction of the Baha SoundArc, Cochlear adds another unique device to its broad portfolio of bone conduction hearing options. The aesthetically appealing and easy-to-wear Baha SoundArc works together with all of Cochlear’s Baha 5 sound processors. The Baha SoundArc is expected to become a popular choice for both adults and children. User satisfaction was tested during a first experience program in a number of selected clinics in the UK from April to June 2017. The reported results were excellent, with an overall satisfaction rating of more than 85% in take-home trials. “For us it’s not about a one-size fits all approach, it’s about innovating and making sure our customers have options that fit both their lifestyle and their stage in life”, says Rom Mendel, President of Acoustics at CBAS. The availability of the Baha SoundArc will differ from country to country. Please check the availability in your country with your local Cochlear office. 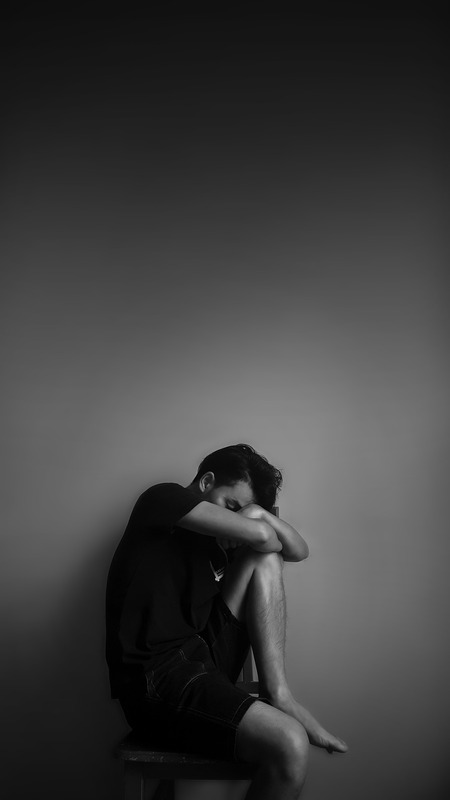 The latest estimates reveal that more than 300 million people worldwide suffer from depression, a figure that has increased by 18 percent from 2005 to 2015. Hearing loss is closely tied to depression, studies confirm. Today is the World Health Day, the high point in World Health Organization ‘s (WHO) year-long campaign “Depression: Let’s Talk”. Depression is a silent and hidden condition, that can affect anyone. The subtle signs of the disease can easily pass unnoticed, leading to low levels of recognition and access to treatment. In many cases, once the disorder is acknowledged, stigma can be so damaging that sufferers refuse to seek help. WHO warns that untreated depression results in a global economic loss of a trillion US dollars every year, and prompts international governments to allocate more funds to mental health. Depression is a mental condition characterised by persistent sadness, critically reduced capacity to carry out daily activities, and a feeling of emptiness. Unsurprisingly, many studies have confirmed the link between hearing loss and depression. The percentage of depressed adults, particularly women, increases with the decline in hearing, from 5% in those without hearing problems to a staggering 11% in those with hearing impairment, according to a 2014 study published in JAMA Otolaryngology – Head and Neck Surgery. In many of our previous blog posts, the recipients of a bone conduction hearing implant mention social isolation as one of the tolls hearing loss took on them. Mona Andersson, the world’s first recipient of a bone conduction implant, recalls her mental discomfort as her hearing capacity declined in her teen years. “I felt embarrassed and I would choose to hide myself”, says Mona in an interview with Cochlear Bone Anchored Solutions. Like depression, hearing loss is a silent condition that affects more than 360 million people worldwide – over 5% of the world’s population, warns WHO. Depression, social exclusion, and lower chances of employment are possible effects of disabling hearing loss. The US National Institute on Deafness and Other Communication Disorders recommends people who answer “yes” to more than two of the questions listed below to visit an audiologist. Mona Andersson had suffered from hearing loss for more than 30 years before she could hear again. In 1977, thanks to a medical innovation developed in Gothenburg, her hearing capacity was dramatically improved. Today, forty years later, 150, 000 people have regained their hearing with a bone conduction implant. Hearing loss is a major public health issue and its impact is set to increase. 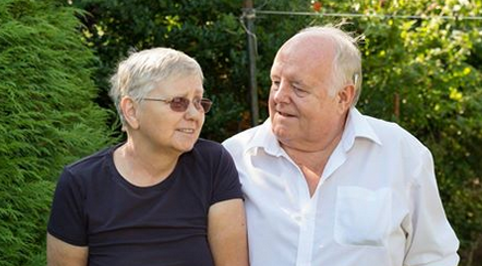 More than 360 million people live with disabling hearing loss and this figure is set to increase significantly. According to the World Health Organization (WHO) there will be 1.2 billion people living with disabling hearing loss in 2050. Every year on March 3, WHO celebrates the World Hearing Day, an advocacy event that calls for international action to address hearing loss. This year’s event campaign “Make a sound investment” reveals that unaddressed hearing loss costs the global economy a staggering $750 billion annually. In Sweden alone, about 1.4 million people suffer from hearing impairment, of which 700, 000 need to use hearing aids, according to Hörselskadades Riksförbund, the National Association for Hearing Impairment in Sweden. Forty years ago, an innovation from Gothenburg created a new industry that was set to restore hearing in many people affected by hearing impairment. Gothenburg resident Mona Andersson was one of those people. The innovation is based on the concept of osseointegration, a process discovered and coined by Professor Per-Ingvar Brånemark, when in Gothenburg in the 1960s, he serendipitously discovered that titanium completely fused with bone. The discovery of osseointegration led to the development of the bone conduction hearing implant, pioneered by Anders Tjellström, surgeon and Senior Lecturer at Gothenburg University and member of Brånemark’s research team, in collaboration with Bo Håkansson, Professor at Chalmers Institute. Already in early childhood, Mona was suffering from bilateral chronic ear infections, caused by scarlet fever. Her natural capacity to hear had dropped dramatically and it was not long before she had serious problems with her hearing. At the age of 15, Mona received her first hearing aid, which improved her hearing slightly, at the cost of constant headaches and embarrassment. When she started working at a plastic factory, she realised that exposure to warm temperatures affected her hearing even more. She reached a turning point in 1965 when she became a mother. “I struggled to communicate with my daughter in the first years of her life. I had nothing to lose when I accepted Dr. Tjellström’s proposal to receive a bone conduction implant”, says Mona. In 1977, Mona underwent the world’s first bone conduction implant surgery, performed by Dr Anders Tjellström at Sahlgrenska University Hospital. The implant was specifically designed for patients affected by conductive hearing loss, like Mona. Today its application has increased to treat other types of hearing loss. “For the first time since childhood I could hear birds singing”, she told Dr. Tjellström when she received her implant. Sounds like the buzz of a fly or ice cubes clinking in a glass, suddenly became new experiences for her. Forty years after the surgery, Mona celebrates not only functional hearing, but hearing capacity that has gone beyond what most “normal hearing” people can experience. The latest technology, developed in Gothenburg by Cochlear Bone Anchored Solutions, allows the recipients of a bone conduction implant to stream sound from their phones directly to their ears. “Bone conduction technology has come a long way. Today, Mona is using a sound processor that has the capacity to adapt to different noise environments, something we had never imagined possible all those years ago”, explains Dr. Tjellström. The bone conduction implant system was approved in Sweden ten years after Mona received her implant. In 1993, the Gothenburg-based Nobel Pharma, whose bone conduction business later became Entific, started commercializing the product. In 2005, international hearing implant manufacturer Cochlear Ltd bought Entific and named it Cochlear Bone Anchored Solutions, based in Mölnlycke. Today, more than 150, 000 people hear thanks to a bone conduction implant. “We created the world’s smallest sound processor that is also the first ever to connect wirelessly to electronic devices, allowing users to stream sound directly to the ear. Gothenburg is a unique centre of innovation, where we can benefit from all the expertise, technology, and research of the region, helping us to constantly evolve our industry”, says Rom Mendel, President Acoustics & Managing Director at Cochlear Bone Anchored Solutions. Most hearing specialists agree that bone conduction hearing systems are an effective solution for patients with conductive hearing loss, mixed hearing loss or single-sided deafness. The stigma of hearing devices may finally be decreasing! A new study shows that fewer and fewer feel embarrassed wearing hearing aids. Concerns about embarrassment have long been a major reason why people with hearing loss choose not to wear hearing devices. Many people go untreated years longer than necessary. At least it is never too late to get help. Malcolm Simon, USA, had hearing loss all his life and didn’t get his Baha sound processor until 80 years of age. And he’s happier than ever! Now a study carried out in Europe in 2009, 2012 and 2015, shows a steady decline in the number of people with hearing loss who indicate they are embarrassed to wear hearing aids. 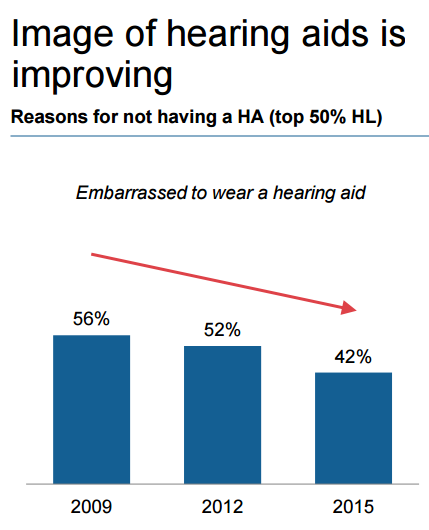 In the 2009 survey, 56% of people with hearing loss said that they felt embarrassed wearing hearing aids. In 2012, 52% felt embarrassed. In 2015 the figure had dropped to 42%. ”I’m very happy that fewer and fewer people with hearing loss will feel embarrassed to wear hearing aids”, says Secretary General Kim Ruberg, hear-it AISBL. Charles Carmichael’s new hearing technology proved to be a lifesaver within weeks of being fitted. 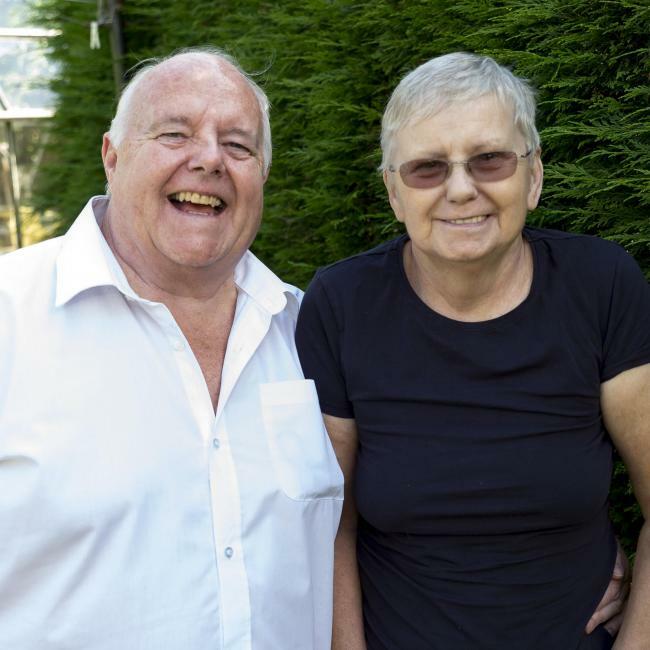 When his diabetic wife, Eileen, collapsed at their home this summer, he was able to talk to the emergency dispatcher so they could identify if she was having another stroke. “Her breathing was so faint, but I was able to hear her voice through my Baha [5 Power Sound Processor] and answer the responder’s questions,” said Charles who suffers from Chronic Suppurative Otitis Media (CSOM). Struggling with hearing loss all his life, Charles was first implanted with a Baha solution on his left side in 2012. Three years later, he had his right ear fitted as well and his problems with discharging ears stopped. In June 2016 he upgraded to the Baha 5 Power and says the new technology is amazing. Charles is his wife’s main carer and the new Baha technology now allows him to hear her clearly even when in another room. 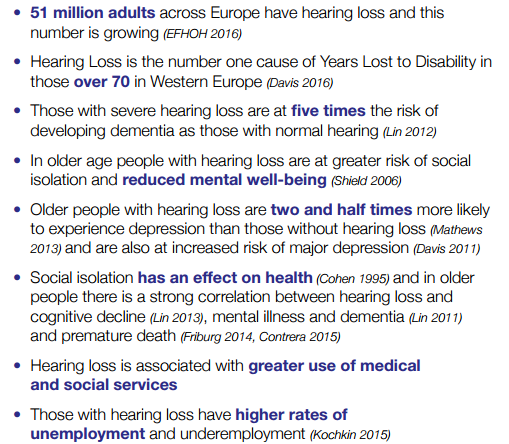 Adult hearing loss is one of the most challenging health and social issues facing Europe today, leading to substantial costs for both the individual and to society. In many countries, with increasing ageing populations and associated health costs, access to hearing technologies may be denied, or the long-term management not provided. A new European Report published by The Ear Foundation, called ‘Spend to Save’, sets out to reveal the real cost of hearing loss and how by increasing access to today’s technology across Europe, individual lives can be transformed and money saved. The report recommends that funding schemes should include the full cost of hearing aids and cochlear implants, as this would ultimately save money overall for health, social care and welfare systems.